Givenchy has established countless series of prints that have become a cult in the fashion world - from sharks, to bulldogs, and religious icons. This spring-summer expect nothing but just that - lust worthy and iconic prints that are just to die for. 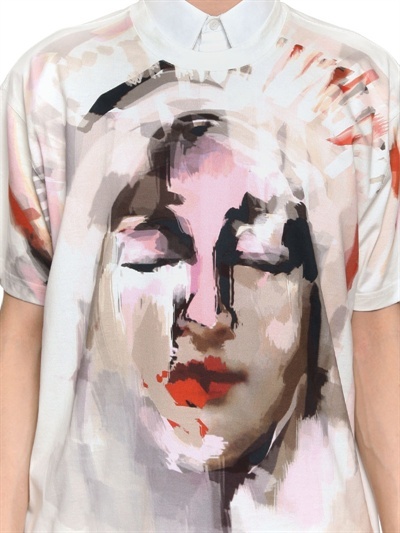 One of my faves from the season would be the Abstract Madonna Print from the men's runway presentation. It's just a brilliant statement piece and can actually be considered art IMHO. Whoever else can say that they're actually wearing a piece of iconic art eh? Retailing for around EURO 465 from Luisaviaroma, I highly recommend getting yourself a piece of this before it all vanishes. It's such an iconic statement piece that it would be criminal to have one in your wardrobe.